Showing results for tags 'leatherbound'. It's time: the Well of Ascension Leatherbound edition is here! Like the Elantris and Mistborn: The Final Empire leatherbounds, it is expensive but gorgeous. This edition has apparently 24 pages of art which has some brand-new artwork, three maps of the Final Empire, and the Feruchemical table. Personalized copies might not arrive before Christmas, but if you want the book itself, that should arrive before Christmas with priority shipping. Let's show off some of this art. Howard Lyon, who did some Oathbringer endpapers, did this: And here is two pieces of new art: the left is Vin vs. Koloss by Charles Tan, and on the right is Heir of the Survivor by Miranda Meeks. (Yay Miranda Meeks!) Lastly, the Mistborn: The Final Empire leatherbound edition is back in stock at last. I know many have asked about this, and now it's finally here. Elantris Leatherbound ... 3rd Printing? I have looked all over the site and can't find an answer to this. I'm committed now to collecting the Leatherbound editions (yay for not being a starving college student anymore!) and plan to pick up Mistborn: The Final Empire on its 2nd printing that's supposed to be happening this summer. Has there been any word on if they'll ever print more Elantris Leatherbound? It's still on the store website but says sold out. Is my only option going to be to take to eBay and pay a ton? The time is here. There is an anniversary edition of the first Mistborn book, in gorgeous leatherbound, and it's going on sale tonight, December 1st, at midnight EST. That's just over six hours away. It does have a hefty price tag, like the Elantris leatherbound, at $100. But I will say that the Elantris leatherbound was spectacular, and its first printing went out of stock rapidly. If you're interested, don't delay. Note that these Mistborn leatherbounds will not be guaranteed for a Christmas delivery, due to Brandon's tour schedule and tour delays. There's awesome stuff in the Mistborn leatherbound. Let Kara from Dragonsteel Entertainment explain: Speaking of the Final Empire art, it is spectacular. You can also buy a poster of it, which I am absolutely doing right now. It has a fantastic style to it, and is simply gorgeous. It actually has a date on it, 1021, which is the first time canonically in the Final Empire time period that we explicitly have a date on something. (1021, by the way, is three years before the end of The Well of Ascension.) Also, it canonizes locations mentioned The Eleventh Metal, and in in the Mistborn Adventure Game, and if I'm not mistaken, it includes brand-new locations on the imperial map. Maybe I missed things in the Mistborn Adventure Game, but I absolutely do not recall Lekal City in the Southern Dominance, for one. I'm pretty sure this is brand-new Final Empire lore. And that makes me unreasonably excited. Maybe these places are mentioned in some of the Mistborn Adventure Game supplements, though, but I can't find references to them. Feel free to zoom in on this poster and post your thoughts, because I'd love to hear them. Okay, I'm going to shut up about Final Empire geography now, because there's also some fantastic pieces of art from Arcanum Unbounded that you can buy. There's the star map of the cosmere, which were the endsheets for Arcanum Unbounded, and there are beautiful, colorized versions of each star system, too. The colorized versions are truly incredible, so at least click the link and zoom in on them. 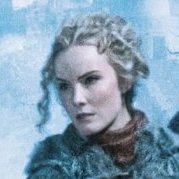 Elantris Anniversary Tomorrow, Leatherbound Announcement, & New Maps!! The hype train is going up to full speed. Shadows of Self comes out tomorrow, but today, Brandon posted a huge blog about the Elantris Anniversary editions, which also comes out tomorrow and are definitely not something for you to forget about tomorrow. This new version of Elantris is now the canonical version, fixing some continuity errors. The physical edition will be North American only for now. It's hardcover first, and the paperback will come to this edition later, in a year or so. Ebooks will update to this text (with iBooks, automatically). In the UK, the text will be there soon. But, of course, what's in the new Elantris? I'll let Brandon explain: So if you are in the mind of "eh, I don't want to reread Elantris," as some people are in the house I'm currently in (I'm currently hanging out with other 17S staff for the Shadows release tonight), fear not. The book is basically the same, but the new maps, and new stuff in the appendix and front are what you want. We'll discuss the maps in a moment, but first, we need to talk about the Elantris Leatherbound Edition, which has been teased on Twitter a bit, and now Brandon has revealed most of the details. He also goes on to say that we'll be able to get this from Brandon's store, or bookstores on tour, but probably not the average Barnes & Noble or Amazon. Now we have to talk about the maps, since they are conveniently all posted for our perusal. They are all in color, but I imagine in the physical Elantris Anniversary Edition, it will be grayscale (like in Alloy). I imagine they will be in color in the leatherbound. But guys. These are super cool. Let's go through each of these, with some brief comments. They all look fantastic. Great job, Isaac! Check them out: For full discussion on the maps, go here!